If you've ever been to my house for a meeting, you've seen this picture hanging on my wall in my meeting area. I have loved this picture for a long time for the perfect story it tells. What's not known from the picture is the teasing Katherine got for choosing the raspberry chocolate chip ice cream - PURPLE ice cream - while wearing a white dress. She hadn't made it too far out of the line before a drip landed on her dress, just as the bridesmaids had predicted. 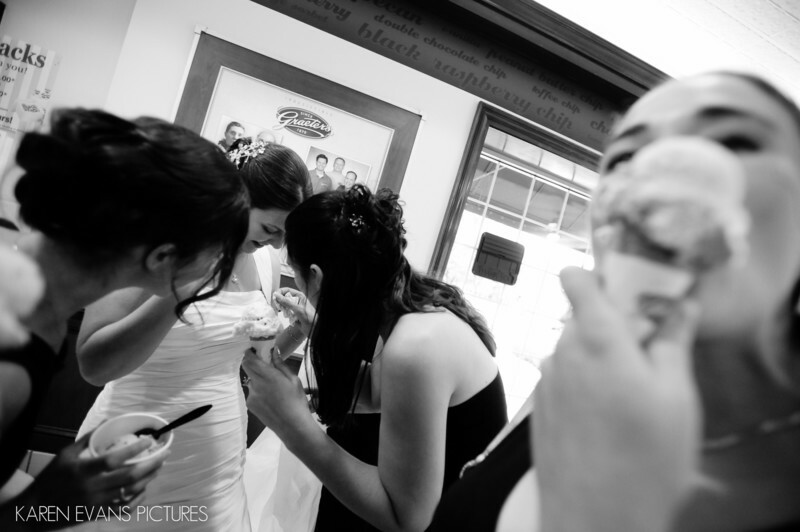 This picture is them trying to get the ice cream off the dress while the bridesmaid closest to me munches her ice cream cone.